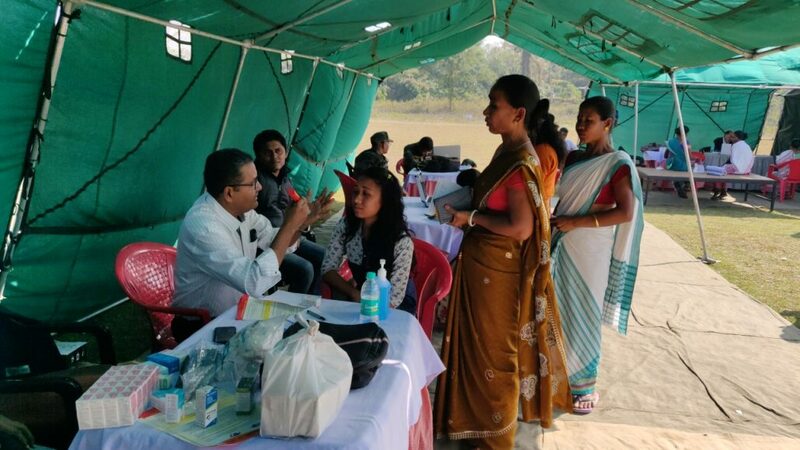 A free medical camp was held on Sunday at the premises of Kargil Warrior camp at Dighilipar of Tamulpur in Baksa district of Assam. 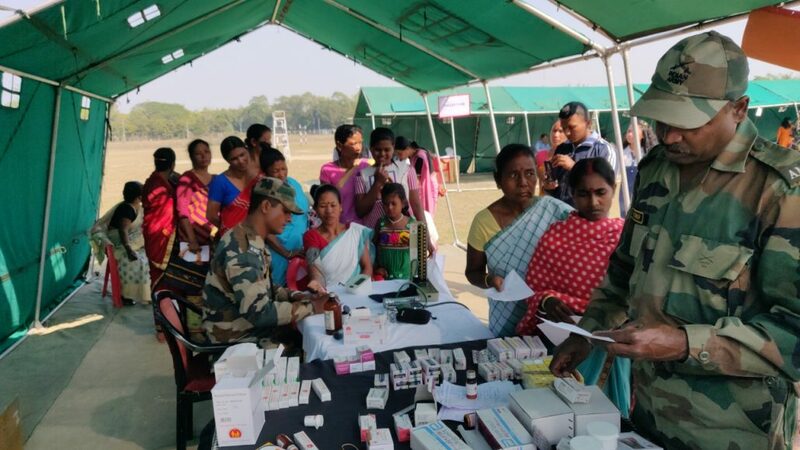 The health camp was organised by Assam Medical College Allumini and Academic Forum, Guwahati in collaboration with Indian Army (Red Horn Division) and in association with Tamulpur Gramdan Sangha and Asha Darshan Trust (Tamulpur). The free medical and health check up camp was held in observation of Colonel Animesh Jha of Tamulpur Brigade where Dr Nirmal Kumar Berial, Dr Lutfur Rahman, Dr Geeta Khaund, Dr Nabajyoti Dutta, Dr Dhiren Chaharia, Dr Bibha Devi, Dr Udayon Kotoki, Dr Damodar Das along with some medical assistants were present and examined the health of more than 300 patients of greater Tamulpur area. The team also distributed free medicines among the patients. In this camp hypertension, diabetes, eye, O&G, ENT along with many other diseases of the patients were examined. Moreover some women patients were examined for detection of uterus and breast cancer also. A free blood donation camp also held along with this camp where many jawans from Indian Army and also civilians donated blood. 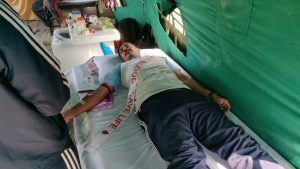 Local people praised Colonel Animesh Jha, commanding officer of Red Horn Division of Indian Army at Tamulpur Brigade for arranging this free medical and health check up camp at Tamulpur which benefited numbers of poor families of the locality.